Looking to bring recruitment in-house? One of the first things to do is create a recruitment process checklist. Provides clear expectations around recruitment process, responsibilities and turnaround time-frames to hiring managers and recruitment teams. Applicants like an insight into your hiring process, so they know what to expect when they apply for a job. Reduces the risk of making wrong hires. Promotes a positive applicant experience and employment brand. 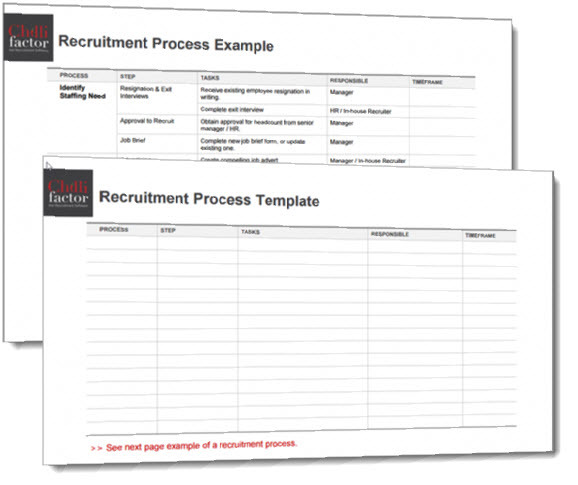 Download template to easily set up your Recruitment Process. It includes an example recruitment process which you can easily adapt to your own requirements.